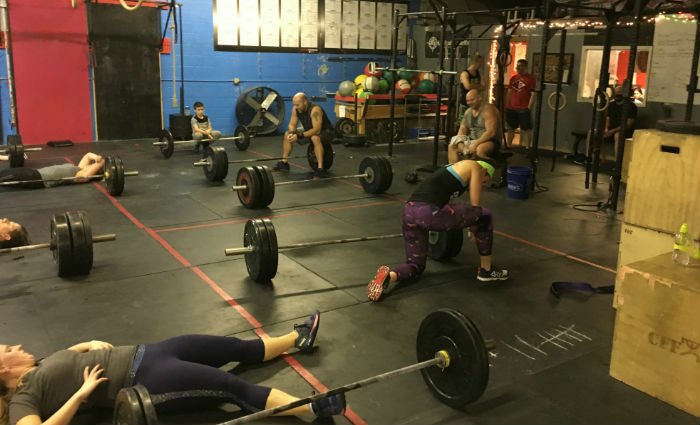 CrossFit is a comprehensive health-and-fitness program designed to be universally scalable. We practice and train major lifts. We master skills of gymnastics. We bike, run, swim and play. We scale load and intensity, never the program. Achieving stamina, strength, power, speed, agility, flexibility, coordination, endurance, balance and accuracy. Resulting in an athlete; a stronger, faster, healthier, happier version of yourself! 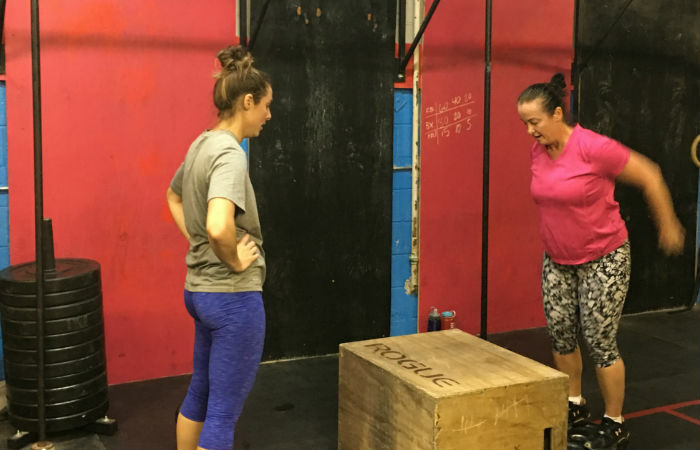 Our 101 program is perfect for those who have never done CrossFit, welcoming adults at all levels of fitness, and serves as a great refresher for those who have been away from the Sport of Fitness for a while. 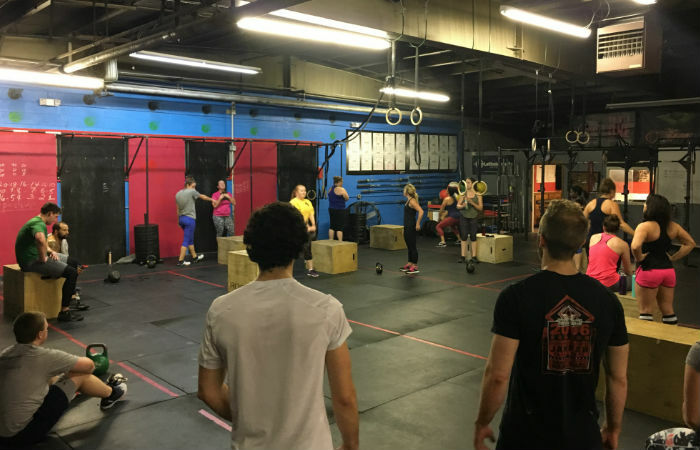 Taken in conjunction with our super popular HIIT Boot Camp, with break-out sessions with Coach Kyle to cover barbell specifics, members will be exposed to a plethora of movements that will set them up perfectly to transition into regular CrossFit classes! With a new session beginning on the first Monday of each month and running month-long, participants will crush workouts Monday, Tuesday and Thursday nights from 7:00 to 8:00 pm. The cost of this program is $175. Contact us today for additional details and to get started! ***Class attendance is required! Participants are required to attend all classes. We allow for one missed class with 24 hours’ prior notice, if the class is rescheduled with the 101 coach at the coach’s convenience. In the event of a no-call/no-show, the participant will either be asked to start again in the following month or forfeit their payment. Your time is valuable, and so is ours. Do not waste it. *** And remember, it only works if you do!!! 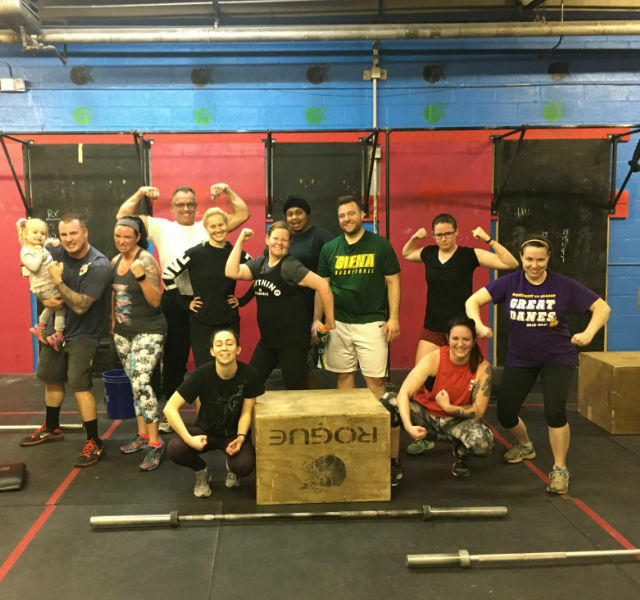 If you are looking to get in shape but are not sure if you are ready for CrossFit, then this is the perfect class for you! WHAT: Shatter’s Boot Camp is a high intensity, interval training (HIIT) workout. We use the same concepts as CrossFit, minus the skilly barbell and gymnastic movements. While we love CrossFit this is not CrossFit. The workouts will be geared towards high heart rate, high level of sweat, and a high level of fun. WHO: This is designed for the CrossFit firebreathers, the Spartan racers, the moms with three kids, and those that are tired of basic gyms and want MORE!!! All workouts are universally scalable and safety is our #1 priority. HOW: The primary focus of the CrossFit Shatter Boot Camp is to get you as freaking fit as possible. We will incorporate bodyweight movements, plyometrics, kettlebells, dumbbells, and a variety of conditioning pieces to jack up your metabolism, burn fat, and get you ripped. Remember, the workouts are always varied, boredom is not something we mess with!!! P.S. Santa doesn’t bring presents to those who don’t boot camp. At CrossFit Shatter, our CrossFit Kids program is currently in the works to re-open to children ages 5-10. Please stay tuned for class schedule updates as we finalize our plans! As Coach Glassman prescribes, our program uses the template of randomized, functional exercises, performed at (relative) high intensity. Adjustments are made to accommodate the specific needs and requirements of the children in class. Workouts consist of exercises containing elements drawn from the general physical skills, while special attention is paid to utilizing progressions for difficult or compound movements, and progressive loading dictated by size, age and consistency in form. Owner and Head Trainer, Shane Healy, a dad himself, runs the program in hopes of changing the lives of local children for the better. 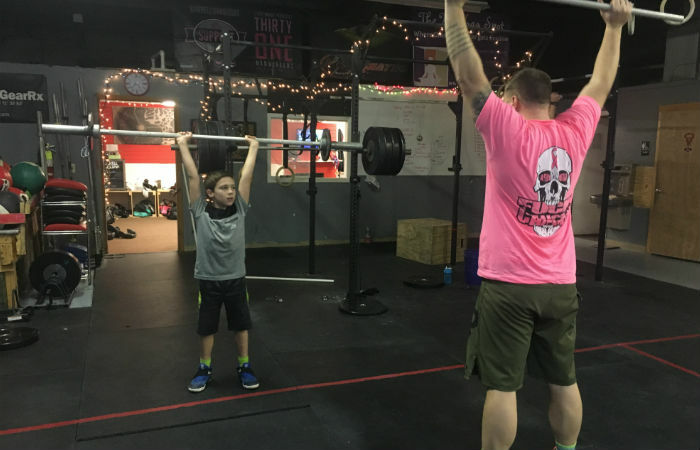 Having completed the CrossFit Kids certification course, along with his deep background in personal training, he has a great understanding of neurological development as it relates to exercise, weightlifting, health and safety, programming, teaching styles, class structure, and kids games. During the Kids program we pair fitness with fun—which is essential in promoting a lifetime of fitness! The kids have a ton of fun playing games, tumbling on mats, and using colorful (and age appropriate) equipment! 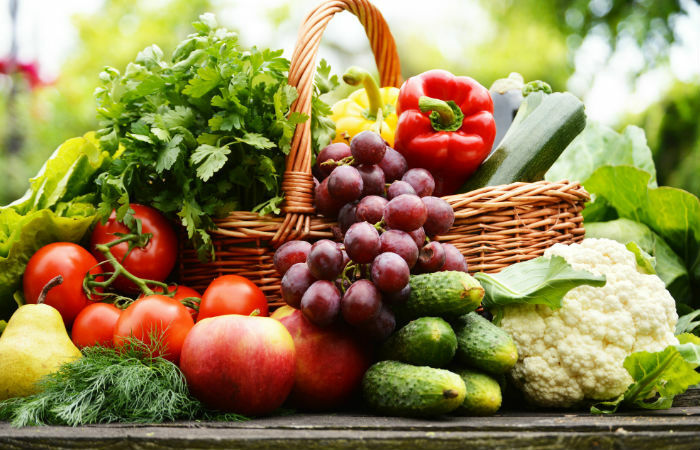 Healthy eating and physical activity go hand in hand; without a proper nutrition regimen you could be wasting your efforts. Using a combination of Zone and Macros, we will customize a plan to complement your intense workouts! Our coaches will work closely with you through weekly check-ins, will support you throughout your journey, and will tweak the plan as you progress. If large group sessions are not your thing or you’re looking to specialize in a certain area of fitness, we offer one-on-one or small group personal training. Please contact us with your interests!